But what Alex does like is swimming and diving. For the past 4 summers he’s been on the swim team and the dive team at our pool. Monday through Friday he spends an hour swimming and then an hour diving every morning. You should see the boy each July — he’s freakin’ ripped. And this means I spend plenty of time at swim meets and diving competitions. I invest lots of blog posts reporting on baseball games, so I figured I would talk about the swim and dive experience. So swim meets..right. They’re awful. You know what it’s like? It’s like mid-term election night in the House. You’ve seen the polls, so 90% of the matchups you already know who’s going to win. Sure there are a few races where it’s close – those are exciting – but for the most part it’s a foregone conclusion. In fact, well before election night, you know which team will win control of the House. Swim meets are the same. You’ve calculated who will win before it ever starts. We know we’ll win the 50 meter freestyle, boys 50 butterfly we’ll take 1st and 2nd, and Molly is in backstroke so that’s in the bag. We know we’re going to win going in. So with the exception of a few close races where it suddenly gets exciting for 30 seconds, a swim meet is just a 3 hour swim practice where I get up 3 or 4 times to yell for Alex. Don’t get me wrong, I love watching him race and I love that he’s getting great results. 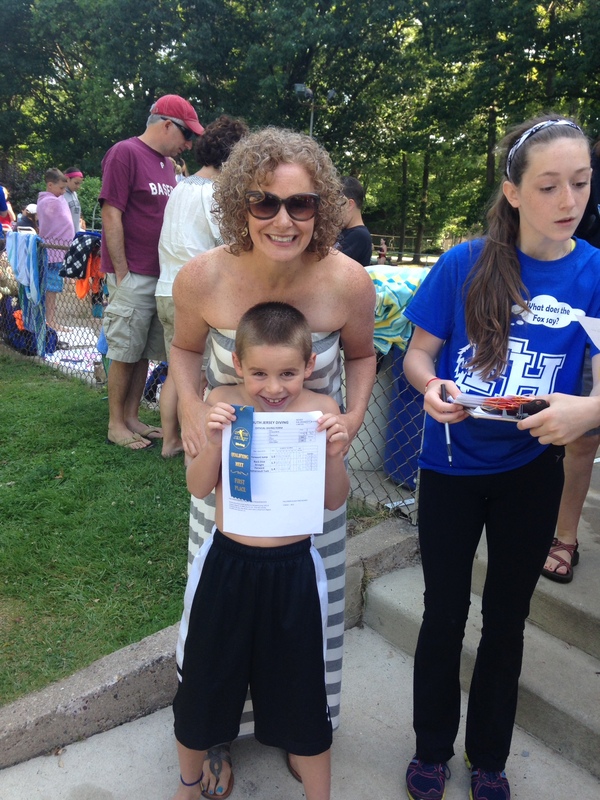 He’s doing awesome and he’s qualified for “Tri-County” in backstroke and butterfly — for which I am very proud. But for my money, it’s not a sport. Well, maybe it’s a sport, but it’s certainly not a team sport. Yes there is a swim “team”, but there is no teamwork whatsoever. And after a swim meet there’s really nothing to report in a blog post. As for dive meets, for me watching a dive meet is mostly about hoping for other kids to do poorly. At least until Alex comes up and then I’m so excited when he nails a dive I can’t stand it. In truth, Alex dominates in diving. He’s won first place in every meet he’s participated in this year. He’s naturally agile, strong, and flexible. But on top of that he has a focused work ethic that most adults couldn’t match. We’ll go to the pool in the evening and he’ll spend hours practicing his dives on his own. Alex scores 6s and 7s where others usually get 4s and 5s. This Sunday, since he’s already qualified for “Tri-County”, he is trying to qualify for “Junior Olympics”. This means he will execute 5 dives instead of the 3 everyone else will do. Wild stuff. And in reality…that will be worth a post. Stay tuned for results.